For many people, it's difficult to come up creative ideas for dating. You want to have fun, impress your date, and be romantic--and perhaps not spend a fortune. If it's a first date, an anniversary or other special occasion or you're trying to rekindle old flames, dating ideas from other people can help spark your creativity. 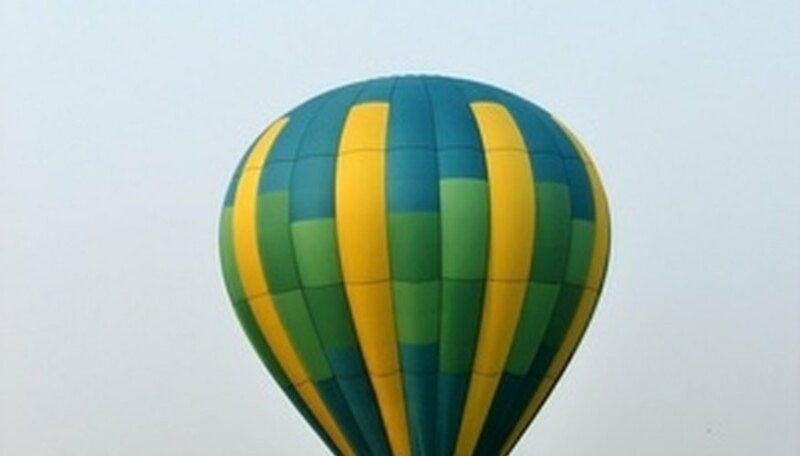 A hot-air balloon could be a fun date for the adventurous. A couple should get to know each other during a first day. The typical dinner and a movie is still fun. You can get to know each other over dinner, relax during the movie, then discuss the movie on the way home or over coffee. If you both enjoy a particular sport, try going to that event. Miniature-golf is also a popular first date. A guy might really impress a lady with tickets to the opera, a play or a concert. If you would like a more casual date, consider birdwatching in a local park, taking a hike or going to the local flea market. If you are both active types with abundant energy, you might try a date of jogging, or take an aerobic class, try some weight lifting at a gym, bowling or go roller skating. Rock climbing or mountain climbing might be fun for the couple who have the proper equipment and can handle it. Fishing could be fun for couple who enjoy the outdoors. Whitewater rafting is a thrilling ride and might be an exciting way to bond when one person grabs hold of the other for support. Theme parks and zoo are also a good choice if you favor the outdoors. Some classic romantic date ideas include a horse-drawn carriage ride or a long walk on the beach. If you are both interested in astronomy, attend a show at a college Planetarium, then spend the evening star gazing with snacks and drinks. Cook dinner together and have a candle light picnic in the yard, or at a park. Take a sunset boat ride together. Take a tour of a botanical garden; flowers are romantic. Read poetry to each other in front of a roaring fire, or while sipping champagne. Relax with a couple's massage. Road Rallies can be a unique and interesting experience. Entrants are given a cryptic set of instructions detailing where to drive, passing certain checkpoints along the way. The goal is to see who can get to the end first, while passing all the checkpoints. Take a helicopter or hot air balloon ride. Be sure neither of you is afraid of heights or this type of date could be a bust. Pick strawberries, blueberries, pumpkins or apples together. Volunteer at your local nursing home or shelter. Invite your friends over for a homemade "Prom." Rent a disco ball, dress up, play music. Each person can bring a different type of food for all to enjoy. Drive around in the countryside and stop to take pictures or take pictures at a local park. Stroll around a shopping mall. Cook at home. Go for a bicycle ride or go rollerblading. Take your dog for a walk. Bake cookies or brownies and bring them to a friend's house. Play board games, or video games. Try and solve a puzzle together. Make old fashioned homemade popcorn (not the microwaved type) on the stove and add different flavors to it to see who can be the most inventive. Make sand castles. Draw pictures of each other. Tinus, Donna. "Dating Ideas & Activities." Dating Tips - Match.com, https://datingtips.match.com/dating-ideas-activities-7814971.html. Accessed 23 April 2019.